Pia Tassinari, born on September 15th 1903 in Modigliana (near Forlì), was considered one of the most popular and successful singers in Italy in the Thirties and Fourties. Her real first name was Domenica which was changed into Pia when she started her artistic career. The singer began to study at the Conservatory of Bologna with Maestro Vezzani and later continued with Marcantoni in Milan. On December 13th 1927 she made her stage debut at the Politeama di Casale Monferrato as Puccini`s Mimi which from now on was to become one of the soprano`s most accomplished roles. Shortly after her debut Tassinari appeared again as Mimi in Genoa and at the Teatro La Fenice in Venice. From 1932 on she belonged to the ensemble of the Teatro alla Scala where she became one of its most esteemed members, especially as an interpreter of roles from the lyric and the lyric-spinto repertoire. Apart from Milan, the Opera House of Rome was one of Tassinari`s principal theatres where she introduced herself in 1933 and enjoyed great success until 1943 as well as in the season of 1951/52. The singer was engaged at all major Italian stages, appeared in the Arena di Verona (1936/37 and 1954) and sang at the Maggio Musicale Fiorentino. She made a tour through Russia in 1935 and performed at the Metropolitan Opera in New York in its 1947/48 season as well as at the Chicago Opera House as Margarete in Gounod`s “Faust”. Her repertory included roles such as Margherita in “Mefistofele” and Elsa in “Lohengrin” (both sung for the first time in Turin in 1931), Suzel in “L`amico Fritz” (Turin 1932), Puccini`s Manon Lescaut (Ravenna 1933), Eva in “Die Meistersinger von Nürnberg” (Rome 1935), Desdemona (Arena di Verona 1933), Manon by Massenet (Rome 1937) and Tosca (Naples 1945). 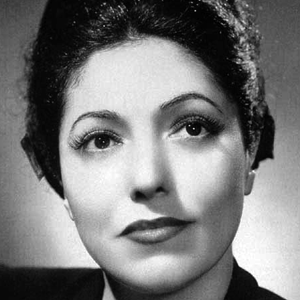 In 1941 Pia Tassinari married the tenor, Ferruccio Tagliavini, whom she had met during a guest performance at the Teatro Massimo in Palermo. The soprano had a very secure technique and rumor has it that she gave her husband some helpful advice for his rather “short” top. The couple Tassinari-Tagliavini often appeared together in operatic performances and on concert stage – their South America tours were a great success – as well as in the recording studio. Towards the end of her career Tassinari also made roles from the mezzo and contralto repertoire her own. Around 1940 she added Charlotte in “Werther” which was considered one of her most outstanding impersonations on stage. In the early Fifties Carmen, Santuzza and Dalila in “Samson et Dalila” were to follow. From the beginning on Pia Tassinari was very involved with works of contemporary composers. She was chosen for numerous world premieres of which today hardly more is remembered than their title or the name of their composer: “Ombre russe” by Sòdero (1930), “Il favorito del re” by Veretti (1932), “Notturno romantico” by Pick-Mangiagalli (1936) and “La zolfara” by Mulé (1939). Tassinari gave her farewell performance in Rome in 1960 in Rossellini`s “Il vortice”. She died in Faenza on on 15 May 1995. Record collectors might chiefly remember her for two of her complete opera recordings: as Suzel in “L`amico Fritz” (under the direction of the composer) and as Charlotte in “Werther” both with Tagliavini as her partner. In addition she has recorded several more operas for Cetra but Tassinari can also be heard in solo recordings of her most famous operatic roles as well as in popular song.